and this is what they believe about the fundamentals of the religion and the belief they profess about the Creator of the worlds. 29.- Muhammad (Peace Be Upon Him) is undoubtedly His most exalted creature, His most beloved Messenger and a chosen Prophet. 30.- He is the last of the Prophets, Imam of all pious people, the Master of all the Messengers and the most beloved to the Creator of this universe. 31.- Any claim to prophethood after Him is ignorance and infidelity. 32.- He is commissioned to both jinns and human beings and to the entire universe with a message of truth, guidance and light. 33- The Quran, undoubtedly, is the word of Allah. It reveals the sayings of Allah. Allah Almighty revealed this Book to His Messenger. The believers testify to it as the whole truth with a firm faith that it is the word of Allah and that it is not a created thing like the words of the creatures themselves. Whoever listens to this Book and thinks that it is a word of a human being, commits infidelity. Allah Almighty condemns such a person and threatens him with chastisement in the Hell- fire. 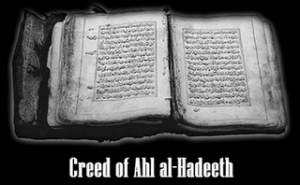 We believe that the Quran is the word of the Creator of the human beings. It does not resemble the words of human beings. 34.- Whoever compares the attributes of Allah to those of human beings, commits infidelity. Anyone who thinks deeply and escapes the onslaught of the thinking of the infidels, will certainly realise that the attributes of Allah have no resemblance at all to those of a human being. ‘Some faces that day will beam (in brightness an beauty) Looking towards their Lord’ (75:22-23). ‘How this will happen is known to Allah Almighty. The above verse should be understood in a manner akin to Allah’s will and knowledge. The best explanation in this regard is that of the Prophet (Peace Be Upon Him) himself as narrated in some authentic Ahadith. We must have no consideration for our own will or desire in this issue. A man is safe as long as he refers back to Allah and His Messenger. Whenever in doubt he should try to consult a man of learning. 36.- Whoever does not concede to the evidences produced by the Book and the Sunnah is no longer a Muslim. A man who indulges in the fundamentals of faith without proper knowledge and does not submit himself to these two sources, will remain deprived of true faith, of understanding of the religion and of pure belief in the Oneness of Allah. Instead he will find himself swinging between faith and infidelity, belief and unbelief, submission and denial. He will always be confused and doubtful. He will neither be a believer who has a strong faith, nor a disbeliever who rejects wholeheartedly. 37.- To imagine Allah in a certain form is not correct. The safest way for a Muslim is to believe in all the attributes of Allah without adding any interpretation. To negate the attributes of Allah altogether or to compare Him to someone, is a deviation from the right path. Our Lord is unique and without any equal at all. 38.- Allah Almighty is above all limits and anthropomorphic descriptions. Unlike other things He is not bound by the six directions. 39- Mi’raj (The Prophet’s night journey to heaven) is true. Allah Almighty took His Prophet while he was awake on a splendid journey. Then his ascension took place in flesh. Allah took him as high as He wanted him in all respect and glory. ‘So did Allah convey the inspiration to His servant (conveyed) what He (meant) to convey’. ‘The (Prophet’s) (mind and) heart in no way falsified that which he saw’. (53: 10-11) May Allah shower His blessing and mercy upon him in this world and in the Hereafter. 40.- The pool of Kauthar is true. Allah Almighty will let the Ummah quench its thirst from this exalted pool. 41.- The intercession (Shafa’a) for this Ummah by the Prophet is true in accordance with a number of Ahadith. 43.- Allah Almighty has known since eternity those who will enter Paradise and those who will go to the Hell-Fire. No increase or decrease in this divine knowledge will occur at all. 44.- Allah Almighty knows all the actions that the people will undertake. The actions that are destined for each individual will be made easier to him. Actions are valued according to their ends. Fortunate is the one whose Taqdir is in his favour and wretched is the on whose Taqdir falls against him. 45.- Taqdir is a secret placed by Allah Almighty among His creatures which is not known even by any close angel or by a Messenger. The more you think about it, the more you will find yourself depressed, deprived and arrogant. This is why a Muslim should abstain from thinking deeply about it. Allah has withdrawn the knowledge of Taqdir from His creatures and forbade them from arguing about it. He says: “He cannot be questioned for His acts, but they will be questioned for theirs”. By asking ‘why did Allah do this?’ a man rejects one of the injuctions of the Quran and whoever does this, enters the rank of the infidels. 46.- Only the friends of Allah whose hearts are lit by a light of Allah, believe in the Shari’a practically and dogmatically as revealed from Allah. People with deep knowledge receive such status. Knowledge is of two kinds: (i)- Knowledge of the present (i.e. that of the Book of Allah and the Sunnah of the Prophet). (ii) – Knowledge of the absent (i.e. that of Taqdir which is hidden from the creatures). To deny the knowledge of the present and to claim to have knowledge of the absent amount to infidelity. A man’s faith is strengthened by accepting what is present and leaving aside what is absent. 47.-We believe in the pen and the tablets and whatever is associated with the writing Of Taqdir. What Allah has decreed must happen even though all the creatures may try their best to stop it happening. Similarly, if Allah has decreed for anything not to happen, it will never happen though all the creatures will try their utmost to do it. Allah has decreed whatever is going to happen until the Day of Judgement. Allah’s decree will never fail. Whoever does wrong, would never have been able to do otherwise. And Whoever does right, would never have been able to do wrong. 48.- Let all the People know that whatever happens in this universe is known to Allah before it happens. No one can change or Overrule or increase or decrease whatever is decreed by Him. To believe in these facts indicates a firm belief, recognition of truth and well awareness of the oneness of Allah. A man subjects himself to destruction by unknowingly disputing on the issue of Taqdir, in a vain pursuit of the hidden knowledge through superstition and conjecture and ends up eventually as a liar and forger. 49.- ‘The Divine Throne (‘Arsh) and Chair (Kursi) are true. 50.-Allah Almighty is in no need of the Throne or anything beyond it. 51.-Allah Almighty is above everything. He dominates them all. Nothing can surpass Him. 52.- We believe wholeheartedly that Allah Almighty declared Sayyidina Ibrahim (A.S.) as His Khalil (friend) and Sayyidina Musa (A.S.) as His Kalim (speaking directly to Him). 53.- We believe in all those books which were revealed to the Prophets and the Messengers of Allah and bear witness that all of them spoke the truth. 54.- We hold all those who tum their faces to the Ka’ba as Muslims and Mu’min as long as they accept the Shari’a of the Prophet Muhammad (Peace Be Upon Him) and all of his sayings with an open heart. 55.- We do not indulge in discussions about the essence of Almightly Allah, nor do we dispute in the matters of religion. 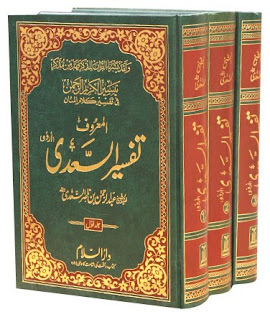 56.- We do not dispute concerning the words and meanings of the Quran. We bear witness that the Quran is the word of Allah Almighty . The Archangel Jibrail brought it to Muhammad (Peace Be Upon Him), the master of the messengers, through revelation. There is no doubt that it is the word of Allah. The words of human beings can ,ever equal it, and we do not regard it as a created thing. We do not disgrace with the Muslim Ummah’ in any Of these issues. 58.- We do not believe that if a man has faith, his sins will not affect him. We seek forgiveness for all those who do wrong. Although we are scared of their end, we do not allow for despair either. 60.- Being regardless Of the punishment of Allah or despairing of the mercy of Allah forces a person out of the pale of Islam. The people of the Qibla should adopt a middle way betwen those extremes. 62.- Iman(i.e. faith) has to be announced verbally and testified in the heart. 63.- All authentically reported commandments of the Prophet (Peace be Upon Him) are true. 64.- The essence of faith is one. All faithful are the same as far as the fundamental of faith is concerned. However, they vary in ranks due to the variation in their fear of Allah and in their rejection of lust and desire and in keeping with the most preferable duties. 66.- Faith includes belief in Allah and His Angels. His Books, His Messengers, The Last Day, Taqdir and that good or bad, sweet or sour, are all from Him. 67.- We believe in all the above mentioned. We do not differentiate among the Messengers of Allah. We believe that all that they preached was true. But if He wills, He will punish them in the Hell-fire out of His justice and later release them out of mercy and due to the intercessions made by obedient servants. He will then let them enter Paradise. This is because Allah Almighty protects those who recognise Him and does not treat them like those who deny Him, those who miss His guidance and lose His friendship. 0 Allah! Thou who befriends Islam and its followers! Keep us firmly on Islam until we meet Thee with this faith. 69.- We allow prayer behind every pious or sinful pers among the people of the Qibla. Similarly, we deem it permissible to pray the funeral prayer over both of them. 71.- We do not approve of the killing of anyone from among the followers of Muhammad (Peace Be Upon Him) except those who deserved it according to the Shari’ia. 72.- We do not approve of rebellions against our Imams and rulers, even though they may act unjustly. We do not pray against them, nor do we refuse to obey them. We hold that obedience to them is part of obedience to Allah, as long as they do not command the committing of sins. We pray to Allah that He may guide and forgive them. 73.- We follow the Sunnah and abide by the Jama’at and keep away from dissension, disagreement and partition. 74.- We love the people of justice and trust and despise those of tyranny and betrayal. 75.- We say “Allah knows best” whenever we are in doubt. 76.- We allow the rubbing of moccasins (or boots of soft leather, used as socks) during ablution, both while travelling and when at home, in accordance with the Hadith. 77.- Hajj and Jihad should both be carried out under guidance of the people of authority among Muslims, regardless of their being pious or wrongdoers, until the Day of Judgement. Nothing can suspend or nullify them. 78.- We believe in Kiraman Katibin (i.e. the angels who commissioned to record whatever we utter or do), Allah Almighty also made them protectors over us. 79.- We believe in the angel of death who is commissioned to take away the souls of everyone. 80.- We believe in the chastisement of the grave concerning those who deserve it. We believe that two angels known as Munkar and Nakir question everyone in their graves about the Creator, the religion and the Prophet in accordance with the Ahadith of the Prophet (Peace Upon Him) and sayings of the Companions. 81.- The grave is either a garden from the gardens Paradise, or a ditch from the ditches of Hell. 82.- We believe in the resurrection and the requital of deeds. We believe in the presentation of deeds (to Allah), the account, the reading of everyone’s record, the reward, the punishment, the bridge (over the Hell-fire), and the scale. 83.- Both the Jannah (Paradise) and Hell-fire are created. They will never perish or come to an end. Allah created both of them before the creatures and created those who will dwell therein. He will admit whom He will into Paradise out of His Grace, or into the Hell-fire out of His Justice. Everyone does what he is supposed to do and everyone is heading towards what was created for him. 84.- Both evil and good are destined for mankind. (The passage is translated freely as the original is too complicated.). 86.- People’s actions are created by Allah but earned by themselves. 87.- Allah Almighty has only asked people to do what they can manage. They themselves are not able to do anything except what he has enabled them to do. This is what is meant by: There is no movement or power except by Allah-“We say that no one can turn himself away from sin except with the assistance of Allah. No one has any power at all to carry out an act of obedience to Allah and to remain firm on it, except by the grace of Allah. 88.- Everything happens by the Will of Allah, His Knowledge, His Decree and His Pre- estimation. His will has dominated those of others, and has changed them completely. His Decree has overpowered the planning of all others. He does what He like. He is never unjust. 89.- The dead benefit from the deeds of their lives, such as prayer and acts of charity. 90.- Allah Almighty responds to the prayers and fulfils the needs. 91.- He owns everything. None owns Him. No one can be needless of Him, even for one blink of an eye. The one who thinks of himself in no need of Allah, even for the blink of an eye, commits infidelity and perishes. 92.- Allah Almighty becomes angry and is pleased, but His anger and pleasure are not like those of a creature. 93.- We love the companions of the Messenger of Allah(PBUH). Our love for any one of them does not exceed that for any others, and neither do we reject any of them. We hate those who despise them or talk of them disrespectfully. We talk of them with repect. Love f or them is a sign of faith, conviction and piety, and hatred for them is nothing but infidelity, hypocrisy and tyranny. 94.- We hold that the first right Khalifa after the Prophet (Peace Be Upon Him) was Abu Bakr Al-Siddiq, as he was the most Preferable person of this Ummah. After him, it was right for Umar ibn Al-Khattab, then Uthman. and finally Ali ibn Abi Talib, may Allah be pleased with them all. They are the rightly-guided Khulafa and Imams. Abu Ubaida ibn al-Jarrah who is known as the Amin (trustworthy) among this Ummah. May Allah be pleased with them all. 96.- Absolved from hypocrisy is the one who speaks well of the Companions of the Messenger of Allah and of his wives who were clean from any impurity and of his offspring who were purified from all dirt. 97.- No one among the early scholars and those who followed them, whether in the field of narrating the sayings and events, or in the field of understanding and thinking, should be mentioned except in a proper way. Whoever speaks ill of them is not on the right path. 98.- We do not give preference to any Wali over any of the Prophets (A.S.). We say that a single Prophet is preferable to all Awlia. 99.- We believe in whatever has been reported of their. Karamat (i.e. unusual happenings) and whatever is authentically conveyed of their sayings. 100.- We believed in the signs proceeding the Hour, such as the advent of Dajjal, the descent of Isa ibn Maryam from Heaven, the rising of the sun from the west, the appearance of a subterranean beast from its place. 101.- We do not believe in any soothsayers, sorcerers, or anyone who claims anything contrary to the Book and Sunnah and the consensus of the Ummah. 102.- We hold that to be united as Jamaat is the true and right way, whereas disunity and partition are misleading and destructive. 104.- Islam is between the extremes of: * Exceeding the limit or falling short of it (anything or commandment). * Comparing Allah to creatures or stripping him of His attributes. * Human beings as bound to do what is destined or totally free to do what they like. * NOT fearing the Punishment of Allah or totally despairing Of His mercy. Mushabbiha: -those who compare Allah to creatures. Mu’tazila: – those who deviate from the way of early scholars as far as the interpretation Of the attributes of Allah are concerned. Jahmiyya: – those who negate the attributes of Allah. Jabriyya: – those who believe that Man is bound to do what is destined, with no free will of his own. Qadariyya: – those who believe that Man is completely free to do what he likes. All of these went against the people Of Sunnah and Jama’at and so misled themselves. We absolve ourselves from them, as they have deviated from the right path to that of destruction. And with Allah lies all strength and Taufiq (capability). (1) The Tawheed with which Allah commissioned His Prophets and which He explained in His scriptures is of three kinds; this is in accordance with the Book, the Sunnah and the state of mankind itself. A) TAWHEED UR RUBUBIYYAH This is to believe in the Oneness of Allah regarding His actions. In other words, Allah is the sole Creator, Nourisher and Maintainer of His creatures affairs, exercising complete freedom in all their matters of this world and of the Hereafter without the aid of any partners. Even the polytheists, those who worshipped idols, recognized this form of Tawheed, although they rejected the idea of resurrection. However, they were not regarded as Muslims because they associated gods with Allah, worshipped many deities beside Him, and refused to accept the Messenger Muhammad (Peace Be Upon Him). (3) This phrase can be exploited at face value by those who are obsessed with twisting the meaning or who got out of their way to interpret the names and attributes of Allah. Yet they have no argument because the author (may Allah have mercy on him) uses this expression to absolve the Creator from resembling His Creatures. Anyway, this brief statement needs explanation in order to remove all lingering doubts. Those among the pious predecessors who spoke of a limit with regard to His attribute of istawa, meant a limit known to Allah only and not known by people. As for al-ghayaaat wal arkan wal a’da’ wal adawaat (the ends, columns, the organs and the utensils), the author means that Allah is absolved in His divine attributes and wisdom from resembling any of His creatures. Allah has the attributes of face, hand and foot etc., these attributes of His in no way resemble those of His creatures. No one except Allah knows their true nature. The people of innovation use such expressions in order to negate some of the attributes of Allah. They use words other than those approved by Allah in order to avoid being exposed by the scholars of Islam. The author, al-Tahawi, undoubtedly did not mean this because he holds the same belief as that of Ahl-us-Sunnah as far as the attributes of Allah are concerned. Whatever he says about belief can be better understood by his own sayings which explain what is briefly stated in other places. Similarly, his saying “The six directions do not surround Him like all other innovations” means the six created directions. He does not means the negation of Allah being above His creation and established on His throne because His position is not covered by the six directions, as He is above this universe and surrounding it. Allah made His servants instinctively believe that He is above them as maintained by the consensus of the Ahl-ul-Sunnah-wal-Jam’ah among the Companions of the Prophet (Peace Be Upon Him) and their Successors. All the evidence from the Book and the authentic Mutawatir Sunnah prove that He is in the direction above us. Dear reader, be alert to this point which is the sole truth and anything else is falsehood. There are a number of authentic Ahadith which prove that the Prophet (Peace Be Upon Him) did not know the Unseen although he was the best of the creatures and master of the Messengers. Other beings can thus only be ignorant of it. The Prophet (Peace Re Upon Him) knew only that which Allah made known to him: when some people slandered Aisha (may Allah be pleased with her) he did not know that she was totally innocent of their accusations until revelation came to him; Aisha’s necklace was lost during a journey, he sent a party to look for it and was unaware of where it was until they made the camel stand and found it under the animal. 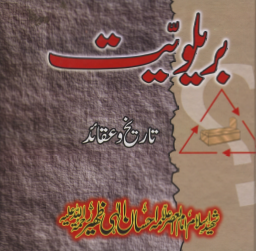 There are a number of other evidences from the Book and the Sunnah on this issue. (5) Here he means that the Ahl-us-Sunnah-wal-Jama’ah do not label a Muslim as an infidel as long as he believes in Allah and the Last Day, because of a sin he commits such as adultery, drinking, dealing in interest, disobeying the parents, ctc. as long as he does not consider them as lawfull.’Once he regards them as lawful, he is definitely an infidel because he has rejected Allah and his Prophet (Peace be Upon him) and has come out of the pale of Islam. However, if he does not regard them as Halal, he is not an infidel in the eyes of Ahl-us-Sunnah-wal-Jama’ah but will be counted as a person weak in faith. He will be liable for the appropriate punishment given to a fasiq(sinner), as described in the purified Shari’a. This is the belief of the Ahl-us-Sunnah-wal-Jama’ah unlike the Khawarij and the Mu’tazilah and those who followed their false way. As for, the Khawarij, they declare a Muslim as an infidel because of the sins he commited. As for the Mu’tazilah, they Place such a person in a position between Islam and infidelity in this world but they believe that such a person will abide eternally in the hell-fire, just like the belief of the Khawarij. The sayings Of these two factions is totally false in the light of the Book, the Sunnah and the consensus of the pious predecessors. Some people seem to be confused about them out Of ignorance but it has never been a matter of doubt to the people of truth. (6) The author means that we do not testify that they are among the people of Paradise except those for whom the Prophet (Peace Upon Him) himself testified, such as the ten and others as explained later in his statement. It should be known that the Ahl-us-Sunnah-wal-Jama’ah believe that the believers and the muttaqeen will in general enter Paradise an that the infidels and polytheists and hypocrites will in general enter the Hell fire. This is proved by a number of verses and mutawatir ahadeeth of the Prophet (Peace Be Upon Him), e.g. (7) Such a narrow definition is not without criticism. An infidel enters into the fold of Islam by pronuuncing two Shahadah if he had not previously said them. If he had said them before but had then committed an offence which caused his infidelity, he can re-enter Islam by repenting. The case is similar with the people who worship idols or invoke the dead to help them or meet their demands, since all of this contradicts the shahadah ” ” which requires that all forms worship including supplication, asking help, bowing, prostrating, sacrifice, vow, etc. should be directed to Allah. Whoever worships something other than Allah, be it idols or angels or jinn or the dead commits shirk and falls short of maintaining the requirements of ” La ilaha illallah “. All such matters are not necessarily the denial of what a person confirmed on entering Islam, but nevertheless take him/ out of the pale of Islam as proved by the Book and the Sunnah. There are a number of other issues not related to denial which render a Muslim an infidel; these are mostly discussed in detail by the scholars under “apostasy” and the reader may refer to them if wishes. (8) This definition is inadequate and objectionable; the correct course is the one followed by the Ahl-us-Sunnah-wal-Jama’ah who say that iman (faith) consists of belief, speech and actions collectively, all which increase with obedience, and decrease with disobedience, to Allah. The evidence for this from the Book and the Sunnah is almost too numerous to be counted, but the reader may check some of this evidence which is mentioned by the commentator lbn Abi Al’iz. Separating action from faith is the important principle of the Murjia. The dispute between them and the Ahl-us-Sunnah-wal-Jama’ah is not merely to do with the choice of words but it also concerned with the concept, to which many issues are related, These issues can be gauged by reflecting on the sayings of the Ahl-us-Sunnah-wal-Jama’ah and of the Murjia. (9) His statement that faith is one and that all faithful people are basically equal is highly objectionable; indeed, it is completely false. Believers have greatly differing levels of faith; the faith of the Prophets was not the same as the faith of others just as the faith of the Rightly-Guided Caliphs and the rest of the Companions (RAA) was not equal to the faith of others. In the same way, the faith of true believers is not the same as that of sinners. The dissimilarity is thus based on the amount of knowledge contained in the heart of each person about Allah, His Names and Attributes, and what He has enjoined on His servants. This is the saying of the Ahl-us-Sunnah-wal-Jama’ah and is thus in conflict with the Murjia. (10) This is not true; in fact, the people are able to do much more than they have been required to do by Allah because He, out of His grace and kindness, wished to make things easy for his servants and not to make their deen oppressive.